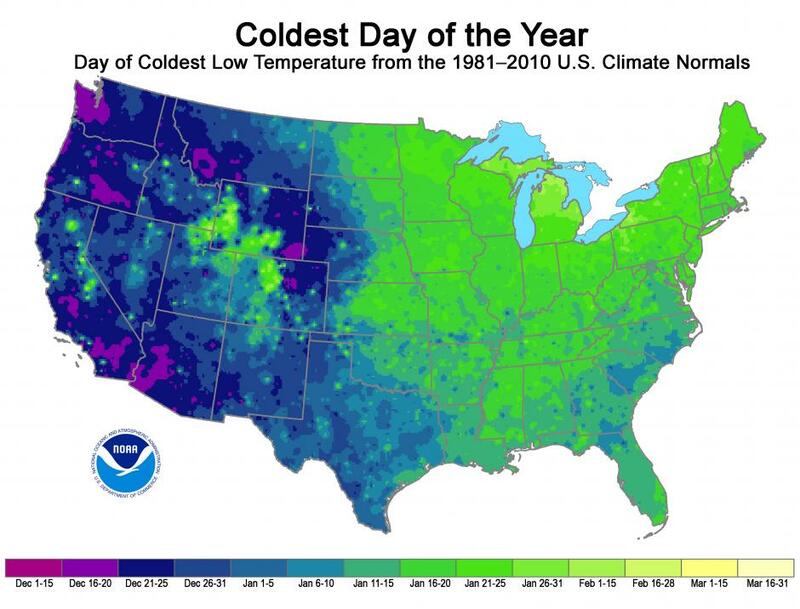 After running the stats on when temperatures hit their lowest points across the nation for the last 30 years, the National Climatic Data Center put together this map showing when you can expect the coldest day to arrive, based on the historical data. Of course, it's quite possible that this year, or the coming ones, could be outliers to the data. Still, it's an interesting look at the way winter temperatures are not only variable in terms of degrees but also in terms of time, with some spots in the country seeing their coldest periods closer to Spring than Winter.